David Long is a musician, composer and producer. He has worked on all of Peter Jackson’s films of the last decade. 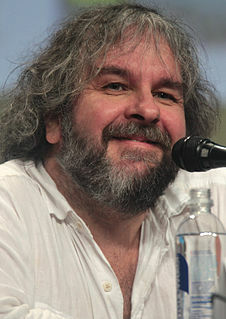 Sir Peter Robert Jackson is a New Zealand film director, screenwriter, and film producer. He is best known as the director, writer, and producer of the Lord of the Rings trilogy (2001–03) and the Hobbit trilogy (2012–14), both of which are adapted from the novels of the same name by J. R. R. Tolkien. Other films include the critically lauded drama Heavenly Creatures (1994), the mockumentary film Forgotten Silver (1995), the horror comedy The Frighteners (1996), the epic monster remake film King Kong (2005), the supernatural drama film The Lovely Bones (2009), and the World War I documentary film They Shall Not Grow Old (2018). He produced District 9 (2009), The Adventures of Tintin: The Secret of the Unicorn (2011), West of Memphis (2012), and Mortal Engines (2018). In 2009 he composed additional score for Peter Jackson’s The Lovely Bones . For The Hobbit: An Unexpected Journey he wrote (in collaboration with Plan 9 Music) ‘Misty Mountain’, a song for the dwarves that also features as the major theme in the score and was used as the basis for the credits song by Neil Finn. He wrote music and created musical sound design for Peter Jackson’s The Lord of the Rings and King Kong (also with Plan 9 Music). The Lovely Bones is a 2002 novel by American writer Alice Sebold. It is the story of a teenage girl who, after being raped and murdered, watches from her personal Heaven as her family and friends struggle to move on with their lives while she comes to terms with her own death. The novel received critical praise and became an instant bestseller. A film adaptation, directed by Peter Jackson, who personally purchased the rights, was released in 2009. The Hobbit: An Unexpected Journey is a 2012 epic high fantasy adventure film directed by Peter Jackson. 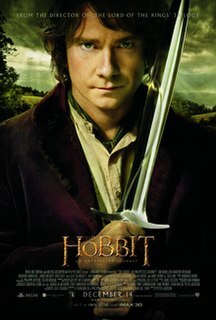 It is the first installment in a three-part film adaptation based on J. R. R. Tolkien’s 1937 novel The Hobbit. It is followed by The Desolation of Smaug (2013) and The Battle of the Five Armies (2014), and together they act as a prequel to Jackson's The Lord of the Rings film trilogy. The film's screenplay was written by Jackson, his longtime collaborators Fran Walsh and Philippa Boyens, and Guillermo del Toro, who was originally chosen to direct the film before leaving the project in 2010. Neil Mullane Finn is a New Zealand singer-songwriter and musician. With his brother Tim Finn, he was the co-frontman for Split Enz, a project that he joined after it was initially founded by Tim and others, and then became the frontman for Crowded House. He has also recorded several successful solo albums and assembled diverse musicians for the 7 Worlds Collide project; contributor Ed O'Brien, also guitarist for Radiohead, has hailed Finn as popular music's "most prolific writer of great songs". In 2013 composed the score for Beyond the Edge (dir. Leanne Pooley), Gardening With Soul (dir. Jess Feast) that premiered in the Wellington Film Festival. In 2012 three films were released that he scored: Robert Sarkies’s Two Little Boys , Alyx Duncan’s The Red House and Dan Salmon’s Pictures of Susan (a feature documentary). In 2011 he scored Simon Pattison’s film Rest for the Wicked and in 2010 wrote the score for Stephen Sinclair’s Russian Snark . Beyond the Edge is a 2013 New Zealand 3D docudrama about Tenzing Norgay and Sir Edmund Hillary's historical ascent of Mount Everest in 1953. As well as featuring dramatised recreations shot on location on Everest and in New Zealand, the film includes original footage and photographs from what was then the ninth British expedition to the mountain. It also includes audio from interviews with Hillary and recorded narration by expedition leader John Hunt. Leanne Pooley ONZM is a Canadian filmmaker based in Auckland, New Zealand. Pooley was born and raised in Winnipeg, Manitoba, Canada, she immigrated to New Zealand in the mid-1980s and began working in the New Zealand television and film industry before moving to England where she worked for many of the world's top broadcasters. She returned to New Zealand in 1997 and started the production company Spacific Films. Her career spans more than 25 years and she has won numerous international awards. Leanne Pooley was made a New Zealand Arts Laureate in 2011 and an Officer of the New Zealand Order of Merit in the New Year's Honours List 2017. She is a member of The Academy of Motion Picture Arts and Sciences. Two Little Boys is a 2012 New Zealand feature film based on the 2008 novel of the same name by Duncan Sarkies. 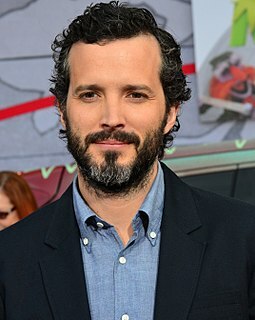 It stars Bret McKenzie and Hamish Blake in the two title roles, and is directed by Robert Sarkies. Duncan Sarkies served as a script writer, adapting his own novel. Long has composed for many television dramas and documentaries. Between 2009 and 2011 he created the music for the Weta Workshop children’s series The WotWots (78 episodes) which has screened in over 100 countries. In 2009-10 he scored two series of Paradise Café , a NZ/UK (BBC) co-production. In 2010 he scored Ice, a mini-series for the UK’s Power TV (starring Richard Roxburgh and Sam Neill). He won Achievement in Original Music at the Air New Zealand Film and Television Awards for two years running for his scores for the television series Insiders Guide to Happiness (2005), and for Insiders Guide to Love (2006). Weta Workshop is a special effects and prop company based in Miramar, New Zealand, producing effects for television and film. The WotWots is a New Zealand children's television show which debuted in 2009 and has since aired in several other countries worldwide. Created by Martin Baynton and Richard Taylor, the series uses a mix of live-action and computer animation to follow a pair of inquisitive, creative alien siblings as they learn about life on Earth. It currently consists of two series, produced from 2009, and a total of 78 ten-minute episodes. Paradise Café is a teen television series that premiered on 6 January 2009 on CBBC Channel and TV2. It was a co-production between New Zealand's Gibson Group and UK company Initial, a division of Endemol. The first series started on 6 January 2009 and ended on 31 March 2009. The second series premiered in the United Kingdom and New Zealand on 17 January 2011 and the final episode aired on 7 February 2011. There will be no series 3 because it was announced on Twitter by the cast. David has had a long association with contemporary dance. He has written many pieces for New Zealand’s pre-eminent choreographer Douglas Wright. For the 2011 Auckland Arts Festival he composed the music for Wright’s dance show Rapt which toured to the Netherlands in 2013. He has also written for Sona McCullagh and Raewyn Hill, among others. He has released 3 solo albums, Cross Creek and Slim Volume and the soundtrack for Beyond the Edge (released by Rattle Records). He has also written a piece for the New Zealand String Quartet and Stroma, a contemporary chamber orchestra. He has released various experimental albums with The Labcoats and The Metabolists. A new Labcoats album is in the offing. Douglas James Wright was a New Zealand dancer and choreographer in the New Zealand arts establishment from 1980 until his death in 2018. Although he announced his retirement from dance in 2008, on the occasion of the publication of his first book of poetry, Laughing Mirror he subsequently continued to make dance works, including touring The Kiss Inside during April 2015. Long was a founding member of the seminal New Zealand band The Mutton Birds with whom he made 3 albums over 7 years. In 2012 they reformed for a wineries tour and returned to London to perform in October of that year. The Mutton Birds were asked by Peter Jackson to record a version of Don’t Fear the Reaper for the credits of The Frighteners. In the 1980s he was a member of The Six Volts - a Wellington experimental group. The Mutton Birds was a band from New Zealand formed in Auckland in 1991 by Don McGlashan, Ross Burge, and David Long. He has produced many albums for a wide variety of artists including Dave Dobbyn’s Available Light (2005), two albums for Barry Saunders, Red Morning, (2005) and Zodiac, (2009), Lucid 3’s Dawn Planes (2007) and Leila Adu’s Cherry Pie (2006). He won Producer of the Year at the 2002 New Zealand Music Awards for Fur Patrol’s Pet. Braindead is a 1992 New Zealand splatstick zombie comedy film directed by Peter Jackson, produced by Jim Booth, and written by Jackson, along with Fran Walsh and Stephen Sinclair. Angelo Badalamenti is an American composer, best known for his work scoring films for director David Lynch, notably Blue Velvet, the Twin Peaks saga, The Straight Story and Mulholland Drive. Badalamenti received the 1990 Grammy Award for Best Pop Instrumental Performance for his "Twin Peaks Theme", and has received a Lifetime Achievement Award from the World Soundtrack Awards and the Henry Mancini Award from the American Society of Composers, Authors and Publishers. The Lord of the Rings is a film series of three epic fantasy adventure films directed by Peter Jackson, based on the novel The Lord of the Rings by J. R. R. Tolkien. The films are subtitled The Fellowship of the Ring (2001), The Two Towers (2002) and The Return of the King (2003). They are a New Zealand-American venture, produced by WingNut Films and The Saul Zaentz Company and distributed by New Line Cinema. Jan Hammer is a Czech-American musician, composer and record producer. He first gained his most visible audience while playing keyboards with the Mahavishnu Orchestra in the early 1970s, as well as his film scores for television and film including "Miami Vice Theme" and "Crockett's Theme", from the 1980s television program, Miami Vice. He has continued to work as both a musical performer and producer, expanding to producing film later in his career. George Fenton is an English composer best known for his work writing film scores and music for television such as for the BBC series The Blue Planet and Planet Earth. The Frighteners is a 1996 New Zealand-American horror comedy film directed by Peter Jackson and co-written with his partner, Fran Walsh. The film stars Michael J. Fox, Trini Alvarado, Peter Dobson, John Astin, Dee Wallace Stone, Jeffrey Combs, R. Lee Ermey and Jake Busey. The Frighteners tells the story of Frank Bannister (Fox), an architect who develops psychic abilities allowing him to see, hear, and communicate with ghosts after his wife's murder. He initially uses his new abilities to befriend ghosts, whom he sends to haunt people so that he can charge them handsome fees for "exorcising" the ghosts. However, the spirit of a mass murderer appears able to attack the living and the dead, posing as the ghost of the Grim Reaper, prompting Frank to investigate the supernatural presence. Don McGlashan is a New Zealand composer, singer and multi-instrumentalist who won fame with bands Blam Blam Blam, The Front Lawn, and The Mutton Birds, before going solo. He has also composed extensively for cinema and television. Among other instruments, McGlashan has played guitar, drums, euphonium and French horn. Fane Michael Flaws is a New Zealand musician, songwriter, and artist. He was a member of bands including Blerta, Spats and The Crocodiles. Until joining Blerta he was known by his second name Michael: Bruno Lawrence insisted Fane was a better name. Jan Hellriegel is a singer/songwriter based in Auckland, New Zealand. Bret Peter Tarrant McKenzie, ONZM is a New Zealand comedian, actor, musician and producer. He is one half of musical comedy duo Flight of the Conchords along with Jemaine Clement. The duo's comedy and music became the basis of a BBC radio series and then an oft-lauded American television series, which aired for two seasons on HBO. McKenzie served as music supervisor for two Muppet films, The Muppets (2011) and Muppets Most Wanted (2014), the former of which won him an Academy Award for Best Original Song for the song "Man or Muppet". His latest work has seen him write the lyrics to the 2016 Sainsburys Christmas advert featuring James Corden on vocals. Patrick Moody Williams was an Oscar-nominated American composer, arranger, and conductor who worked in many genres of music, and in film and television. 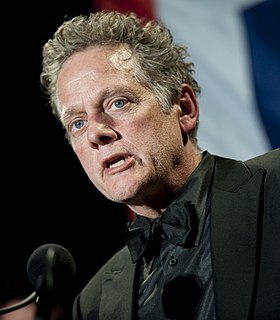 Michael Bacon is an American singer-songwriter, musician and film score composer. He is the older brother of actor Kevin Bacon. Michael Price is an English award-winning composer, producer, arranger and music editor. He writes in full orchestral and electronic and contemporary idioms, and is a producer, arranger and programmer. He won an Emmy Award with David Arnold for the music for the BBC TV series Sherlock. Rhian Sheehan is a New Zealand composer and producer born in Nelson and now based in Wellington. Known for his fusing of orchestral chamber music & piano, with ambient electronic & post-rock cinematic atmospheres, he has released 6 solo albums. He is also known as a screen composer, having written music for film, TV, games, exhibitions, advertising, roller coaster rides, and planetarium dome shows. Steve Roche (Stephen) is a New Zealand composer and performer. He is principally known for his involvement in film music and as a creator of film soundtrack and ambient music. David Donaldson is a New Zealand composer and performer. He is principally known for his involvement in film music and as a creator of film soundtrack and musical sound design. Austin Wintory is an American composer who composes scores for films and video games. He is particularly known for composing the scores to the acclaimed video game titles Flow and Journey, the latter of which was nominated for a Grammy Award for Best Score Soundtrack for Visual Media. His film efforts include the scores to the 2009 Sundance hit Grace, as well as the 2008 Sundance Audience Award winner Captain Abu Raed. Wintory has composed 300 scores since 2003.